When your customer receives your payment request, they will see a request to pay the balance owed on the edited order–what we call an adjustment order. For more information, please see our documentation on How Payment Requests work in Edit Order. 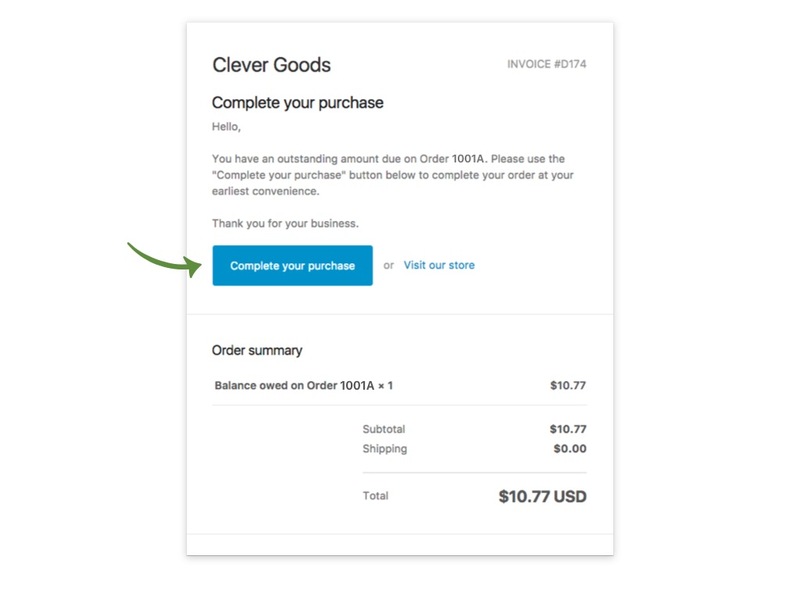 For example, you edited an Order #1001, resulting in Order #1001A, your customer will receive a payment request with a single line item Balance Owed on Order #1001A which will be listed for the amount due as a result of your edits. This adjustment order's line item is marked as non-fulfillable and non-taxable since it will be applied towards Order #1001A, so other order management or fulfillment apps should not have a problem with it. 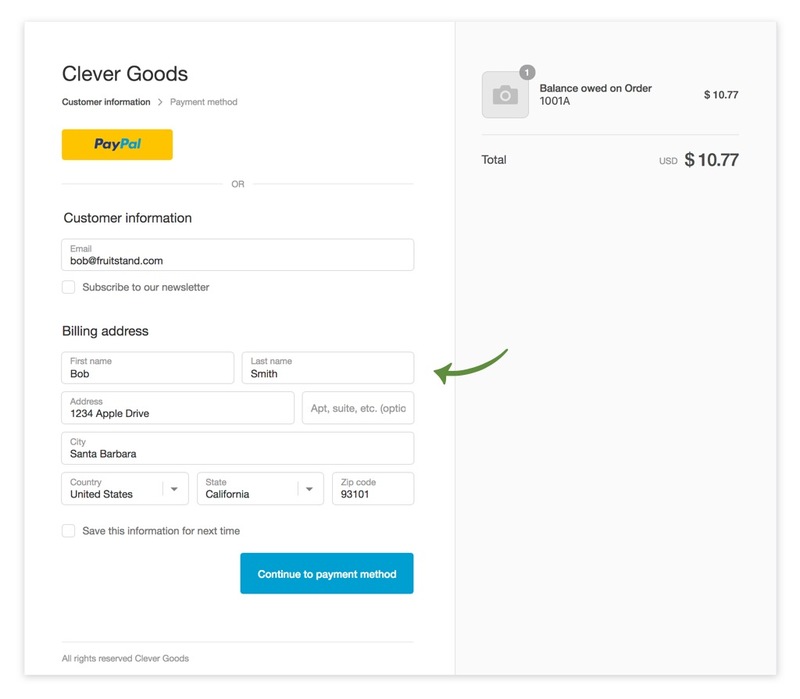 Next your customer should click on the Complete purchase button to be taken to the Shopify checkout for your store. From there they can pay using their credit card. All their information will be populated automatically except for their credit card. When the order is complete, they will receive a confirmation email and all bookkeeping is done automatically by joining the transaction data together, marking the adjustment order as fulfilled and archived, and marking the edited order as paid.